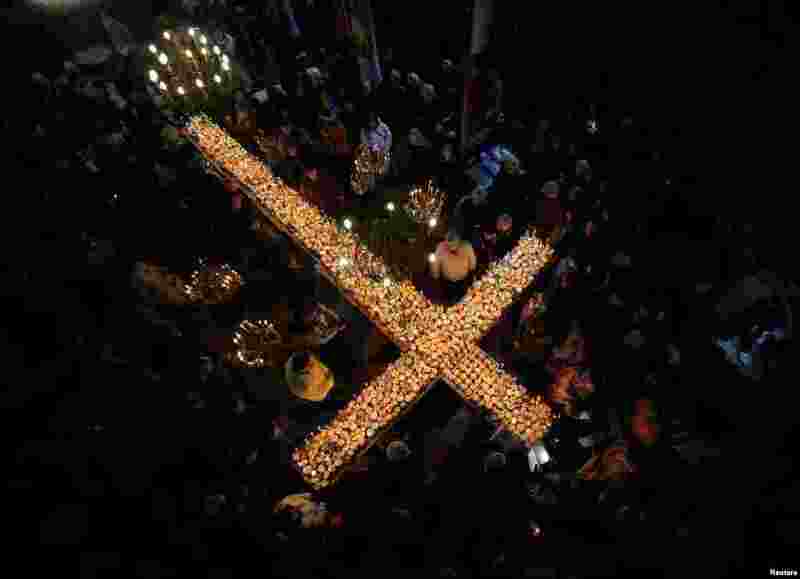 5 Worshipers gather around candles during a Mass to mark the day of Saint Haralampi, the Orthodox patron saint of beekeepers, in the church of the Presentation of the Blessed Virgin in Blagoevgrad, Bulgaria. 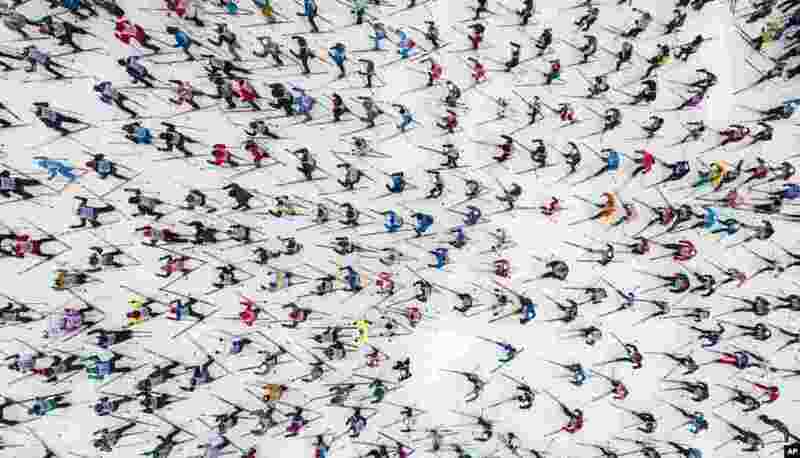 6 Skiing enthusiasts start in the traditional mass skiing competition "Ski-track of Russia," just outside Moscow, Feb. 9, 2019. 7 Young Balinese dancers perform during an agung ceremony, held every six months in honor of their ancestors and deities, at Pererepan Sari Pedungan in Denpasar, Indonesia's Bali island, Feb. 9, 2019. 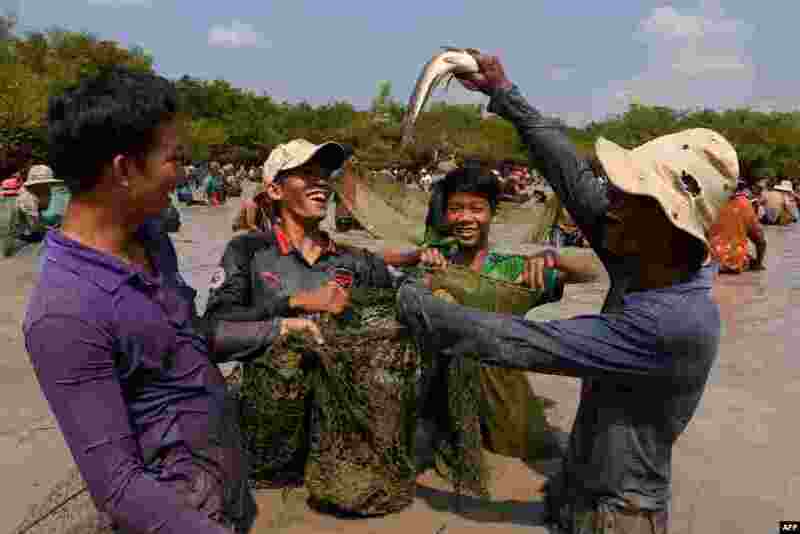 8 A man raises a snake fish up during the annual fish-catching ceremony at Choam Krovean commune in Tboung Khmum province, Cambodia.